A 27-year-old man reportedly struck an officer with a vehicle and was arraigned following a robbery at a Mission, TX, store Monday night. Emmanuel Perez is facing aggravated assault on a public servant, resisting arrest, evading arrest with a vehicle, and driving while intoxicated charges. 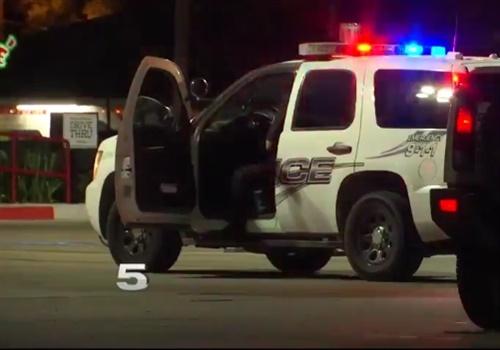 The Mission, TX, police officer was reportedly hit after he came in contact with Perez around 11 p.m. The officer suffered injuries to his left leg and was taken to Mission Regional Medical to be treated. He is now home in stable condition, reports KRGV. Mission Police Chief Robert Dominguez said the call for police backup started when the suspect tried to steal beer at an H-E-B. Perez fled the store after a store clerk confronted him. Minutes later, police found Perez inside his vehicle. They said he had a knife in his lap and a beer in his hand. He sped away, which is when police say his vehicle struck the officer in the leg, then continued to lead authorities on a high-speed chase that ended in 8 Mile and Moorefield Rd, where he was arrested.